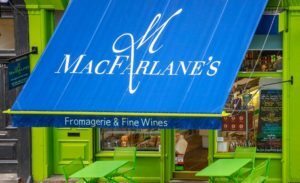 It’s Easter Saturday and Elizabeth Buchan and J.J.Anderson can be found at Macfarlane’s on Abbeville Road from 10.00 a.m.. They’ll be talking about their own books, (if asked) but will be happy to discuss the books and authors featured in this year’s Clapham Book Festival . 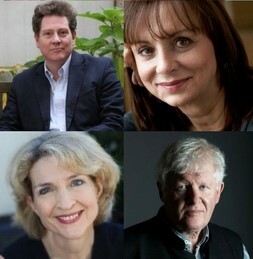 Come along and talk about the Festival and its authors. Elizabeth, a long time Clapham resident, was inspired to set her latest novel close to the Common. One of her previous books had been set in WWII but for The New Mrs Clifton she had to research exactly what happened to Clapham during and after the war, including the High Street and the Common, all close to home. As was one element of the story, a similar event had happened in her own family, only in reverse. 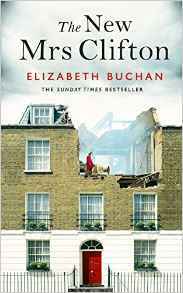 The New Mrs Clifton is Elizabeth’s fifteenth novel and her previous work has won prizes and been televised. 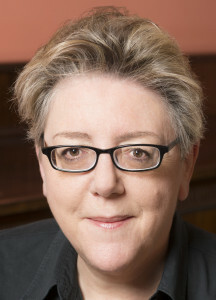 She has chaired the Costa and Whitbread judging panels and sits on the author committee of The Reading Agency. 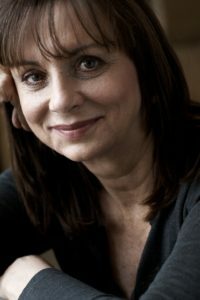 She is patron of The National Academy of Writing and the Guildford Book Festival. Elizabeth is a co-founder of the Clapham Book Festival. Krista is clearly devastated by her experiences at the hands of the British and their allies – all but broken by horrors she cannot share. But Gus’s sisters can only see the enemy their brother has brought under their roof. And their friend Nella, Gus’s beautiful, loyal fiancée, cannot understand what made Gus change his mind about their marriage. What hold does Krista have over their honourable and upright Gus? And how can the three women get her out of their home, their future, their England? Haunted by passion, betrayal and misunderstanding these damaged souls are propelled towards a spectacular resolution. Krista has lost her country, her people, her identity, and the ties that bind her to Gus hold more tightly than the sisters can ever understand. Elizabeth will be chairing the discussion Spies Under the Bed at 17.00 on 6th May at Omnibus. Fellow co-founder of the Clapham Book Festival and Abbeville Road habituee, J.J.Anderson, will also be handing out leaflets and discussing the Festival. 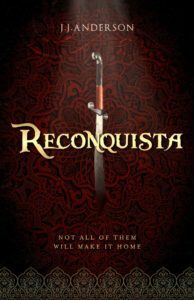 As regular readers of this blog already know, her latest novel is Reconquista, a story of intrigue, adventure and self-discovery set in 13th century Al Andalus. Julie has a home in Andalucia and was inspired to write the novel, originally for her nephew and god-son, by the historic and romantic city of Jerez de la Frontera. Outside the walled city an army awaits…. Within, Nathan, his cousin Rebecca and their friend Atta face an uncertain future. The world they have always known is about to be ripped apart. In war-torn Al Andalus, King and Emir vie for supremacy, bandits and pirates roam land and sea in their wake and our heroes must set out on their own desperate journeys to find freedom and safety. Atta must cross the mountains in winter to reach the sanctuary of Granada, Rebecca hatches a desperate plan to follow her lover and Nathan has the hardest task of all, how both to realise his dreams and to meet his father’s expectations. Each of them must face down their fears and decide what sort of people they want to be. All of them will change. Not all of them make it home. Julie will be chairing the discussion The Past is Another Country at 15.30 on 6th May at Omnibus. Find out more about the Festival at the web-site or follow us on Twitter, Facebook or Instagram. This entry was posted in Books, Culture Vulture, London and tagged Books, London, Worth a visit, Writing & publishing by juliej. Bookmark the permalink.